New. 2012. 1st Edition. Hardcover. 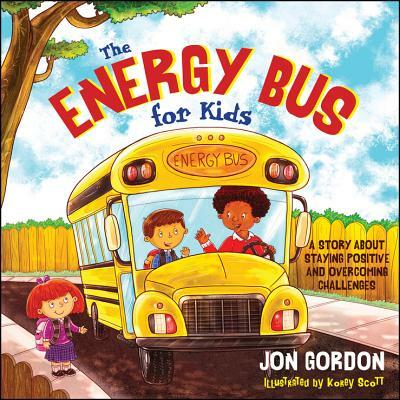 An illustrated adaptation of the bestselling business fable, The Energy Bus, teaches children the benefits of staying positive In this illustrated adaptation of the bestselling fable, The Energy Bus, author Jon Gordon shows children how to overcome negativity, bullies and everyday challenges to be their best. Illustrator(s): Scott, Korey. Num Pages: 48 pages, colour illustrations. BIC Classification: VSC; YNK. Category: (P) Professional & Vocational. Dimension: 273 x 274 x 9. Weight in Grams: 604......We ship daily from our Bookshop. Scott, Korey. New. Picture book. Sewn binding. Paper over boards. With dust jacket. 48 p. Contains: Illustrations, color. Intended for a juvenile audience.